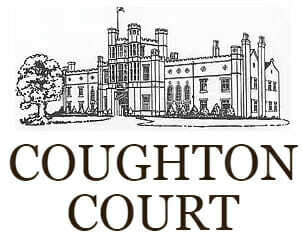 The name Coughton (pronounce “Coat-un”) suggests a settlement or farm known for the hunting of woodcock or game birds. It is believed that there was a medieval house on the site when John de Throckmorton arrived in 1409 to marry into the de Spiney family. Since that time, Coughton Court has been home to the Throckmortons, one of the UK’s oldest catholic families. Coughton Court still has many of its original features including its flamboyant sixteenth-century gate tower. It is one of the last remaining Roman Catholic houses in the country to retain its historic treasures, housing one of the very best collections of portraits and memorabilia of one family from the early Tudor times. Alongside family items on display, there are pieces such as the chemise reputedly worn by Mary Queen of Scots when she was executed and a bishop’s Cope, with intricate needlework, believed to have been worked upon by Catherine of Aragon. Coughton Court was gifted to the National Trust in 1946 by the Throckmortons, the family continue to live at Coughton Court, continuing six centuries of unbroken tradition.